After the success of their Frankenstein adaptation the previous year, doing the same for Dracula seemed a natural step for Hammer. And if its predecessor was a hit, this time they knocked it out of the park, with a version that, arguably, is still the best ever of the story. In an interesting twist, this take has Jonathan Harker an active vampire hunter, who tries and fails to slay Count Dracula (Lee), though does take down the Count’s bride. His partner, Abraham Van Helsing (Cushing) arrives too late, just missing Dracula and having instead to stake Harker. The Count has moved on, and his quest to take revenge for his bride on Harker’s fiancée, Lucy (Marsh), kicks off an escalating battle with Van Helsing and Lucy’s brother, Arthur Holmwood (Gough). Cushing is just awesome. The key thing about any portrayal of Van Helsing, is being able to sell the concept of vampires being real. You need to believe he believes, and that’s not an issue here, Cushing being thoroughly convincing and speaking with impeccable command and authority. As a result you’re prepared to fall in behind Van Helsing, when he delivers lines such as, “If I am to help your sister-in-law, there are certain things you must do to help me, however unorthodox they may appear.” The other half of the equation is Lee, even though the two only share the screen right at the end. It’s a bit of a shame we don’t see more of the urbane aristocrat depicted at the start. For once the fangs come out, he’s a feral predator, and I’m not sure the Count says another word the rest of the film – unless intense hissing qualifies? 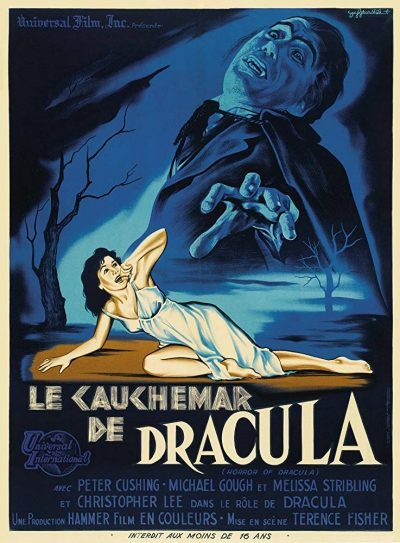 Certainly, it all seems very restrained by modern standards, and the final sequence, in which Dracula “melts” when exposed to sunlight, is about the level of a bargain Halloween haunt effect. Yet, again, Cushing and Lee sell it so effectively, that the quality doesn’t really matter. 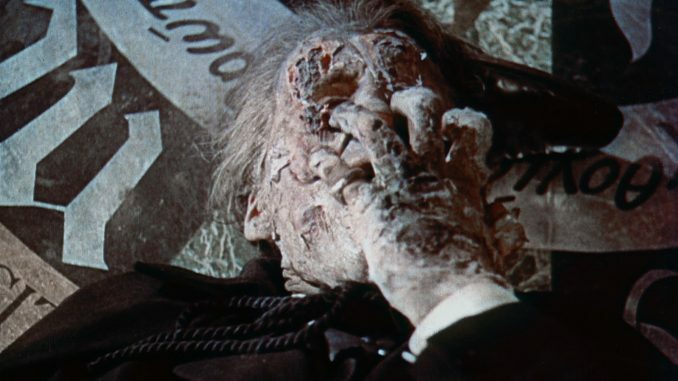 The horror on Van Helsing’s face and the agony being experienced by the Count transcend the wobbly execution, and give it a punch far beyond what it deserves. Special effects may age; great performances, not so much.